THE PRAKTIK HOTELS: practical and original! I present you this time a different concept of hotels. 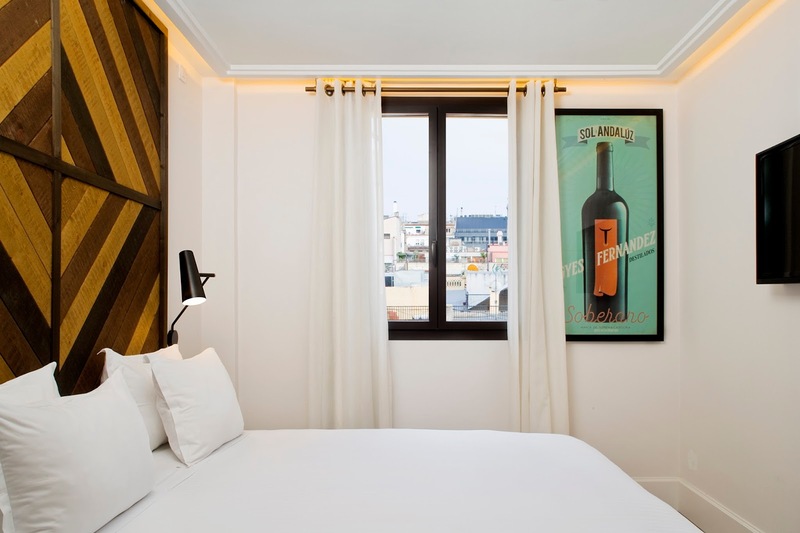 If you are among those who just need a good bed to sleep while you are travelling, and you prefer meeting people, learning the culture and visiting the town, the Praktik Hotels are perfect for you. There are 4 in Barcelona and one in Madrid. They are practical hotels, the rooms are not vey big but their design and the distribution is well thought of and allows comfort. Apart from the rooms, each hotel has a very personal stamp. The Praktik Bakery, is very unique and wonderful! 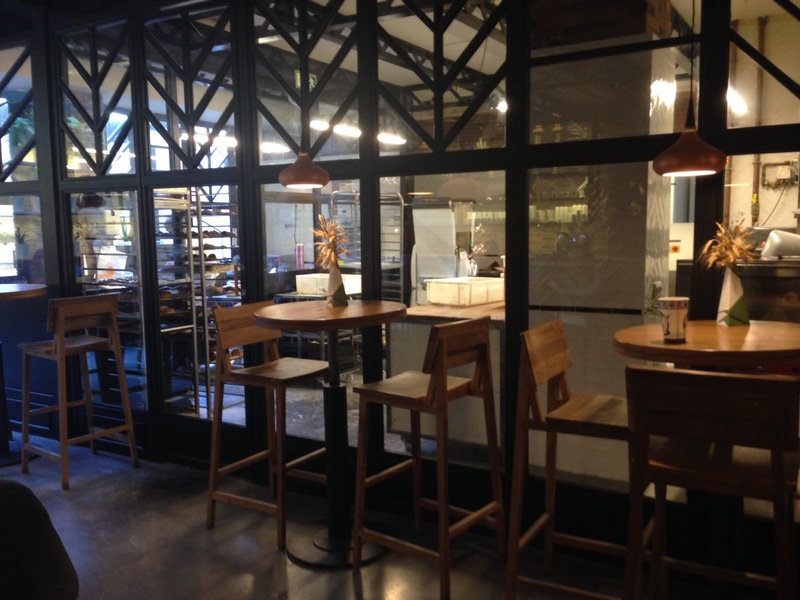 In the entrance we can find the famous Baluard Bakery. 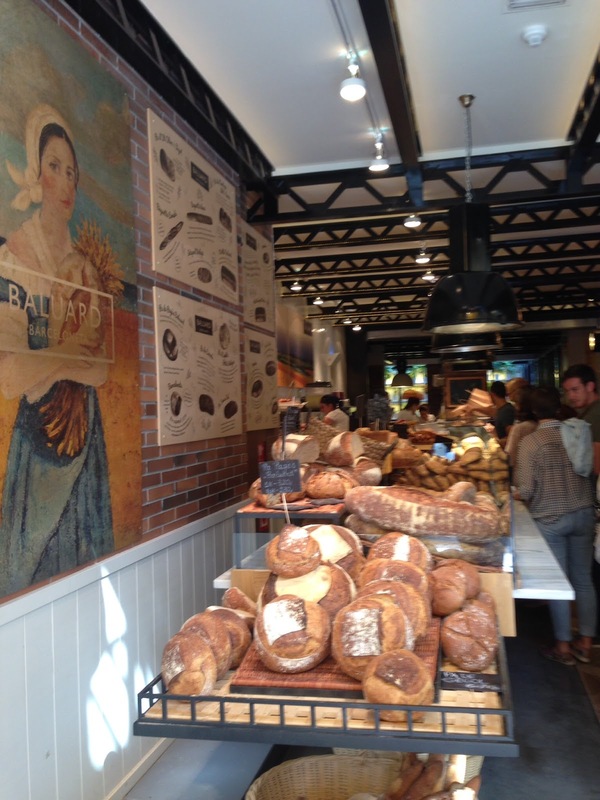 As you enter you embrace the smell of freshly baked baguettes. Your will immediately feel invigorating after a long trip with the lovely smell and buzz as soon as you step in. 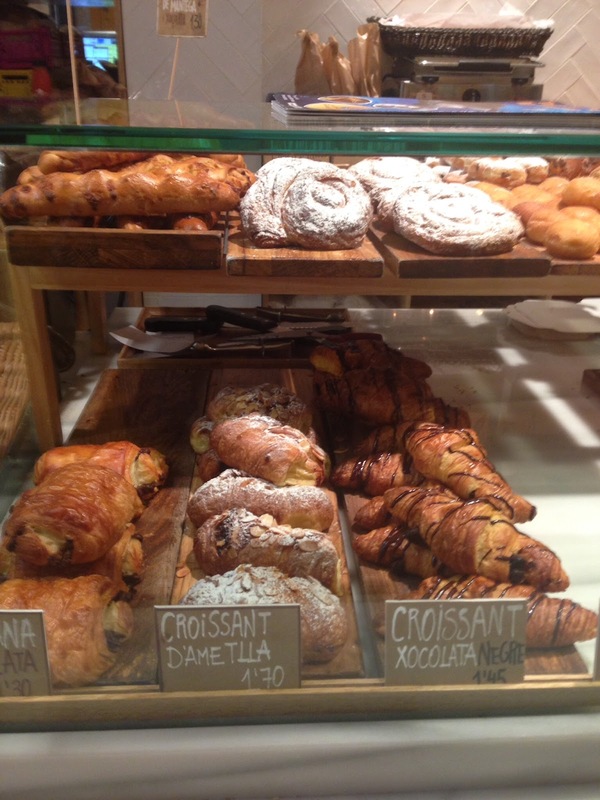 And while shopping in Pg De Gracia, you can always stop by for a cup of hot coffee and some of their lovely pastries! The Praktik Vinoteca, just opened a month back. 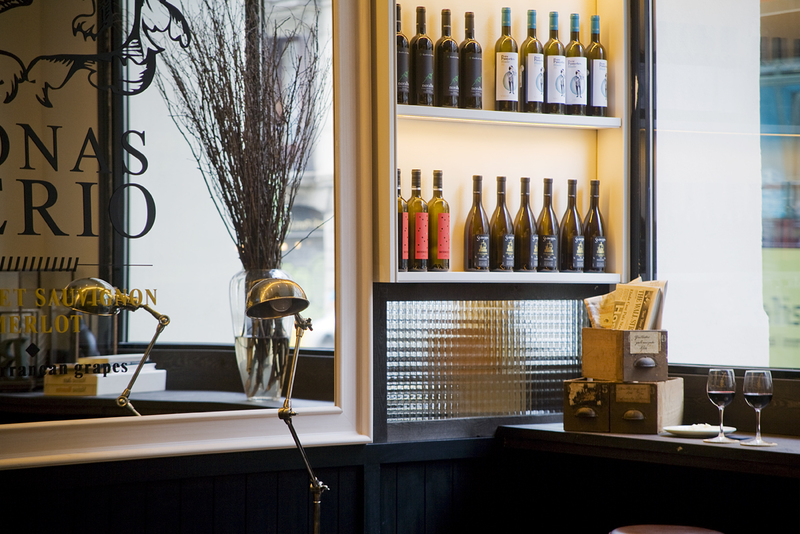 You are welcome by a glass of wine, and you are surrounded by wine art. 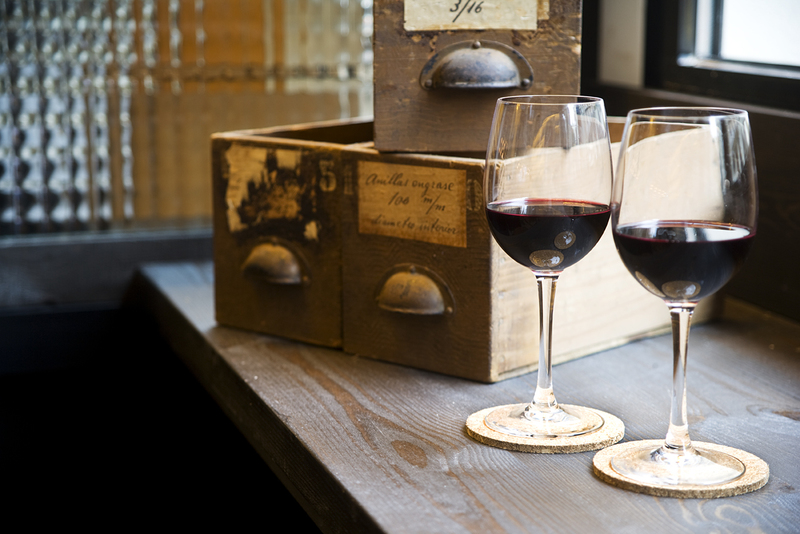 They offer free wine tastings somedays at the hotel and also organize wine tours. You will also be able to organize a private wine tasting event. It is perfect if you are travelling in a group or for business and you need a different thing to do in the evening. If you are not staying in the hotel, the Vinoteca is open to public on Friday and Saturday from 7 to 9pm. Then you have the Praktik Garden which is surrounded by plants. The Praktik Rambla is in one of Barcelona's emblematic buildings and once belonged to the bourgeoisie Climent Arola family. You can feel the essence of true Barcelona in this spectacular building. All the Praktik hotels are very well situated and an economical option in the heart of the city. Check their blog for great tips on Barcelona. 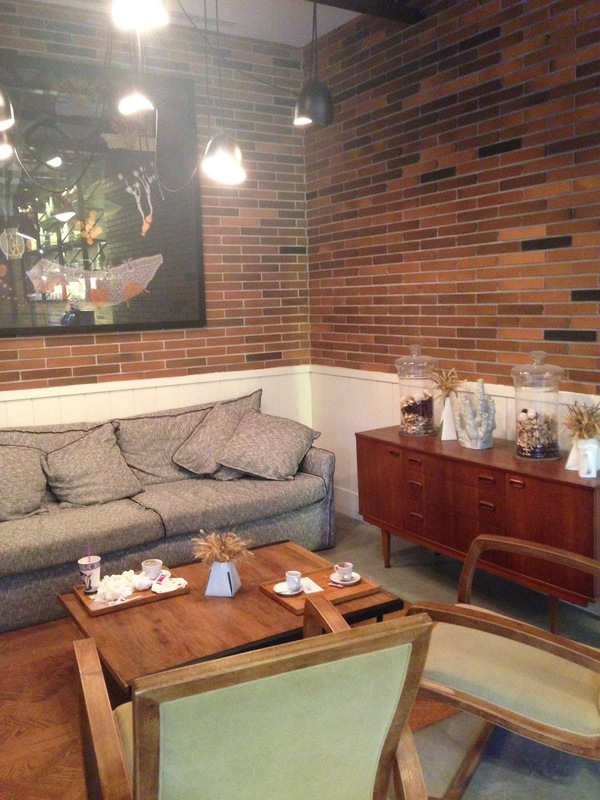 THE BAKERY LOUNGE FOR GUESTS AND CLIENTS. PERFECT FOR BREAKFAST AND FOR A BITE! 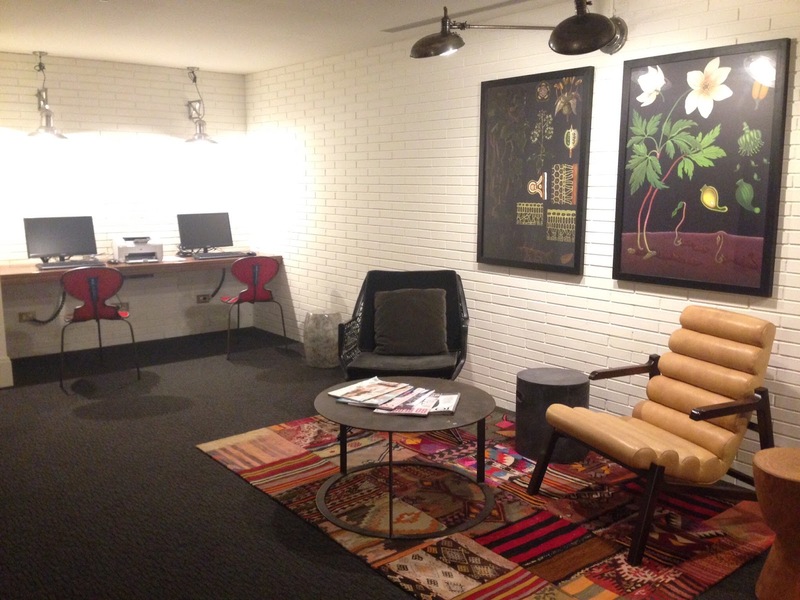 THE LIVING ROOM AND BUSINESS CENTER FOR GUESTS ONLY, TO CHILL OUT IN A QUITE ATMOSPHERE. 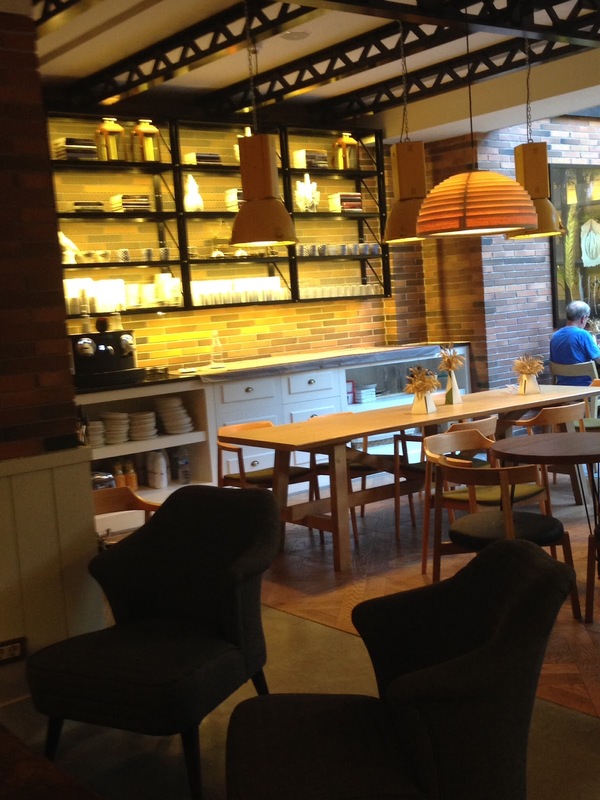 THE BAKERY LOUNGE DOWNSTAIRS IS QUITE BUZZING DURING THE DAY. 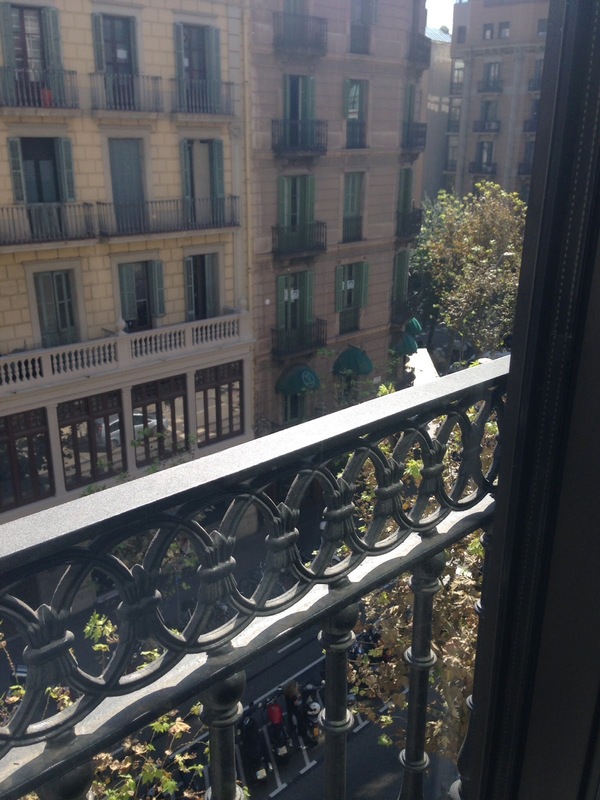 VIEW OF EIXAMPLE JUST 2 STEPS AWAYS FROM PG DE GRACIA! HAVE A COFFEE WHILE YOU CAN SEE THE BAKERS AT WORK. IF YOU ARE GUEST IN THE HOTEL YOU CAN LEARN THE PROCESS OF BREAD MAKING. 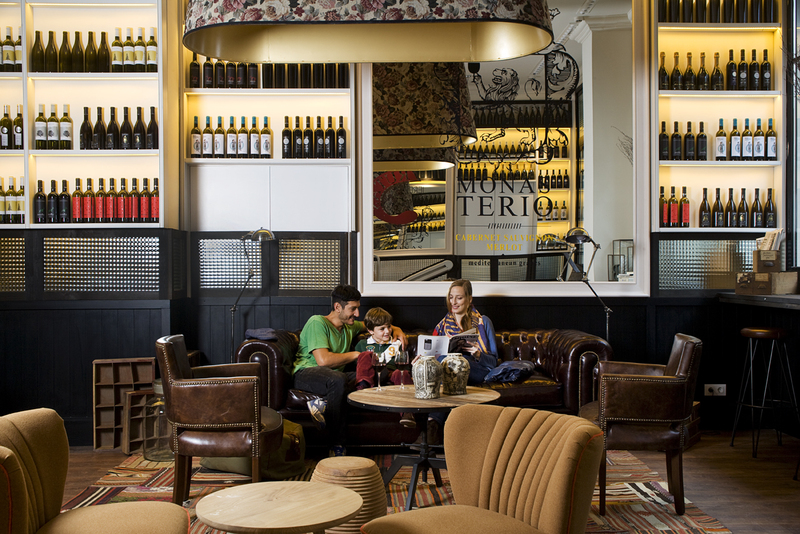 At continuation you can see the Praktik Vinoteca picture, courtesy of Praktik Hotels. 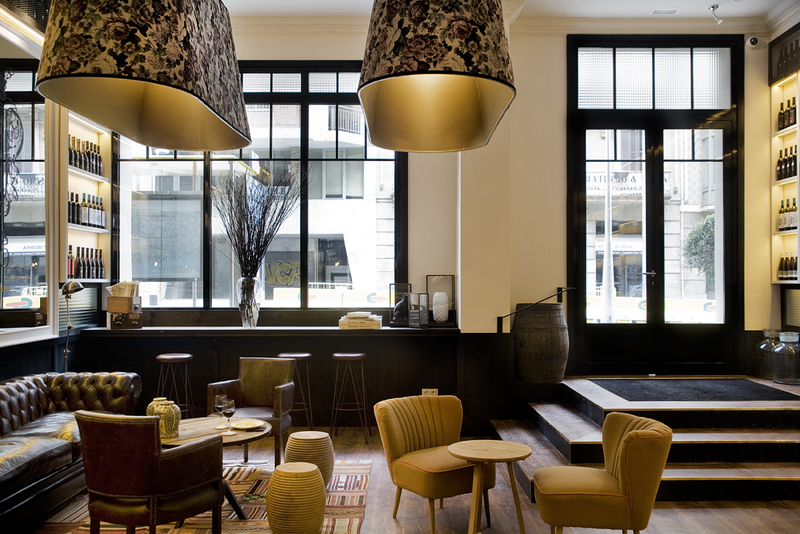 Labels: Hotels in Barcelona!, Somewhere casual, Tea Time!